AD:VENTURE has shown its support for Wakefield Business Week, which will comprise of 15 separate events over five days across the district. Following the formal launch of WBW, the schedule of events will begin today with Digital Disruption, Survival or Growth, delivered by AD:VENTURE, at the Advanced Skills and Innovation Centre at Wakefield College from 4.30pm – 6.30pm. On Wednesday, AD:VENTURE will exhibit at the Wakefield Business Conference, providing advice for start-up organisations that could benefit from practical and financial support to assist them to meet their full potential. Finally, on Thursday AD:VENTURE will join experts from across the district during the Wakefield Manufacturing Awards as it supports the event as sponsor of the New Manufacturer category. Coun Peter Box CBE, leader of Wakefield Council, said: “Wakefield Business Week supports ambitious new and established businesses in the district, so that they can come together to raise their profile, share ideas, offer support and inspire others. 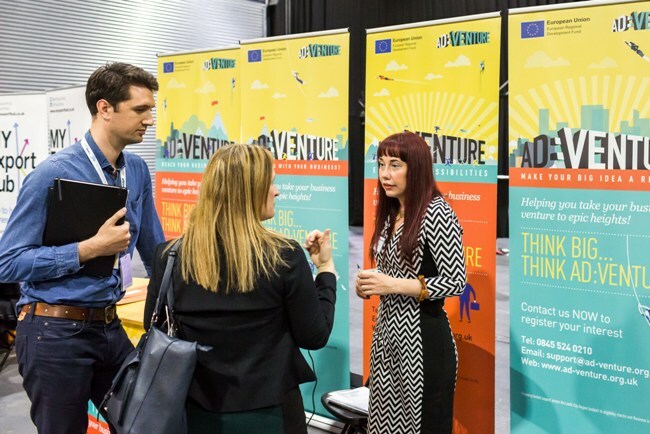 AD:VENTURE is an ERDF match funded programme delivering practical support and access to funding for young businesses and start-ups across the wider city region and supported in Wakefield by Wakefield Council.